The sources of Europe’s water are protected under EU law – but many EU governments want to weaken the law. Together, we MUST stop this from happening. We have prepared the response that will best ensure that the law is kept safe. To send this to the Commission on your behalf, please fill in your details and click ACT NOW. 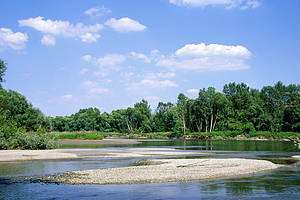 According to the latest data, 60% of Europe’s rivers, streams, lakes and wetlands are not healthy. For generations we have destroyed and polluted them, and used too much water irresponsibly. If we continue in this way, it will affect everything - from all the small things in our day-to-day lives we take for granted, to keeping entire industries going. It will also affect all the countless species that need these ecosystems to survive. The EU water law protects our water sources, but governments now want to weaken it. Act NOW: tell the European Commission to keep the law strong using the form above! Everyone has a part to play, but our governments are allowing rivers, lakes and wetlands to be exploited in ways that cause permanent harm. For example, dams and other infrastructure (e.g. for hydropower, flood defence and navigation) sever a river’s natural flow and stop species from reproducing. Unsustainable agriculture pollutes and uses lots of water. Through the EU water law, governments agreed to end this destruction - but, they have failed to live up to their promises. And, to make matters worse, they now want weaken the law! Act NOW: tell the European Commission to keep our water law strong using the form above! Turning back the clock on this deterioration cannot be done without strong legislation. 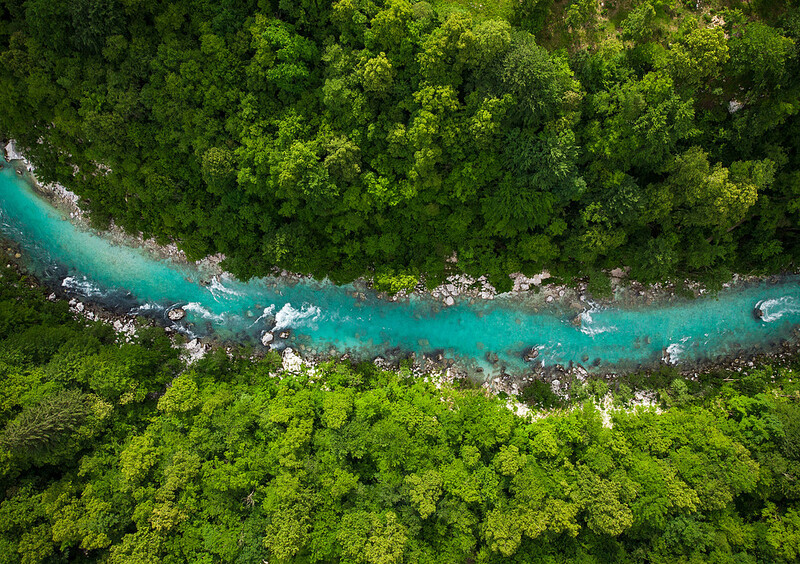 In Europe, we have a strong law that protects our rivers, lakes, wetlands, streams, coastal waters and groundwater – the EU Water Framework Directive. It also ensures that waters which have already been damaged are brought back to life, and by 2027 at the latest. But, as you read this, many governments are trying to weaken the law. This would be a terrible blow for our rivers, lakes and wetlands, and everything that depends on them. But these incredible ecosystems are under attack. They can't speak up. Will you? 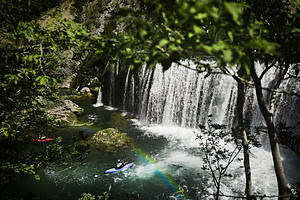 Stand up for Europe's rivers today - tell the European Commission to keep the EU water law strong using the form above. Europe’s rivers and lakes are under attack. They can’t stand up for themselves - but these children will. Their eyes are on governments as they consider whether to #ProtectWater in 2019, or carry on dodging their legal commitments. Say NO to Member States weakening this crucial piece of legislation. Send our recommended response to the European Commission's public consultation using the form above. Freshwater ecosystems are the most threatened on the planet and, as WWF’s 2018 Living Planet Report shows, the abundance of freshwater species worldwide has declined by 83% since 1970. The situation is no different in Europe. Nature can recover remarkably fast when simply given the chance. But we need to act NOW. Say NO to a world without wildlife! Use the form above to tell the European Commission to keep the EU water law strong! A lot of things go into making your favourite beer, but it all starts good quality water. But Europe’s water sources are deteriorating at an alarming rate. 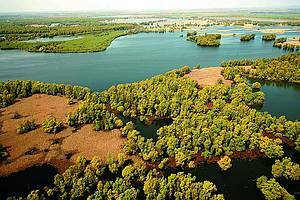 Rivers, lakes, wetlands, streams and groundwater are all protected under EU law. This law makes sure that Member States protect their waters, and restore those which have already been damaged. 2027 is their final deadline. As you read this, many Member States are trying to weaken the law. Together, we MUST stop this! Tell the European Commission to keep our water law strong, and make sure DRY BEER, DIRT BEER and LUXURY BEER stay figments of our imagination.